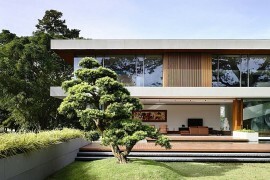 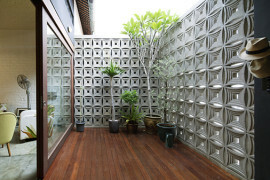 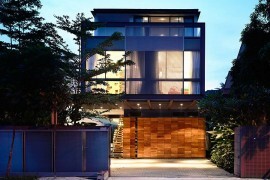 South East Asia is renowned for building some of the most urbane and contemporary homes on the planet. 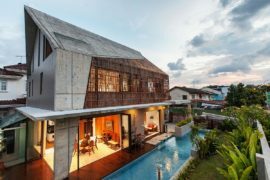 Singapore is at the heart of this modern revolution and located in Jln Angin Laut, this sleek and stylish home is a perfect case in the point. 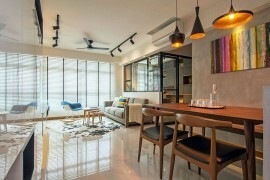 Defined with sophistication and flair by Hyla Architects, the residence wows you with interiors that are as good as any. 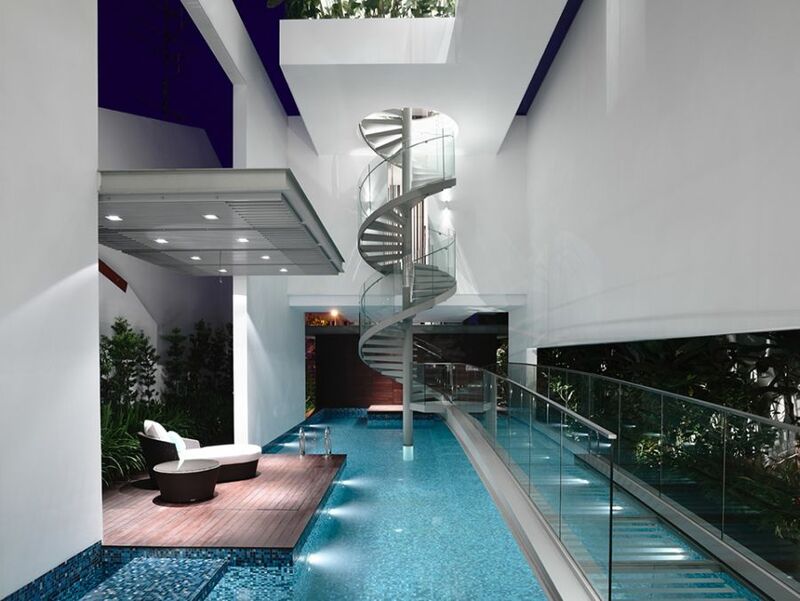 A lavish pool on the inside and a dramatic spiral staircase steal the show with their impressive design. 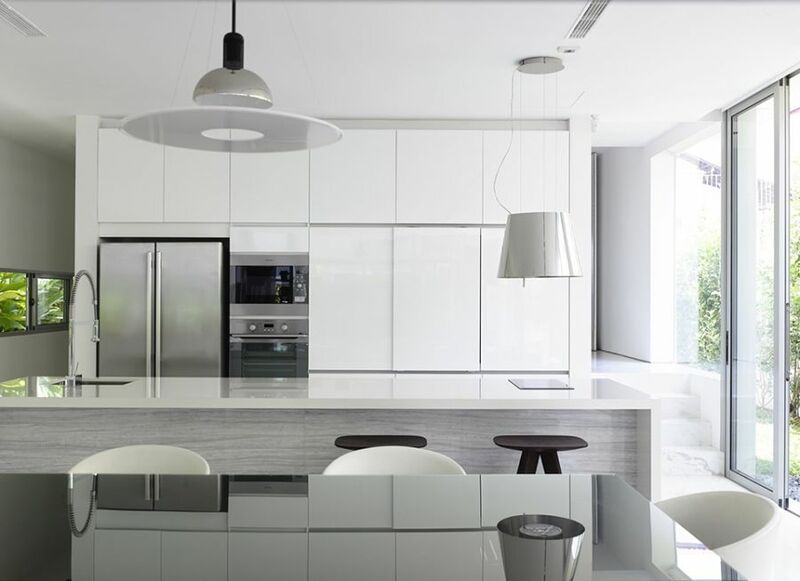 Luxurious and exclusive the structure brings together ergonomics with elegant semi-minimalist design. 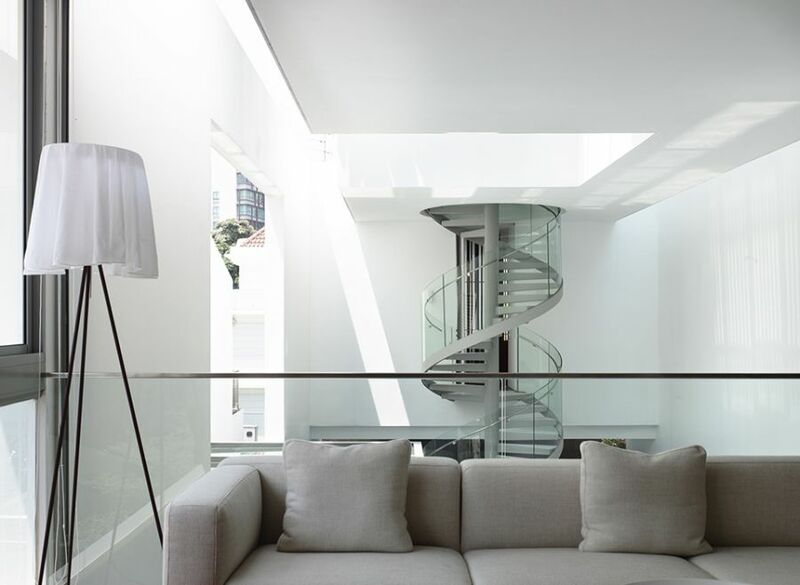 A large living space clad in pristine white welcomes you inside even as several levels of private quarters are beautifully tucked away above it. 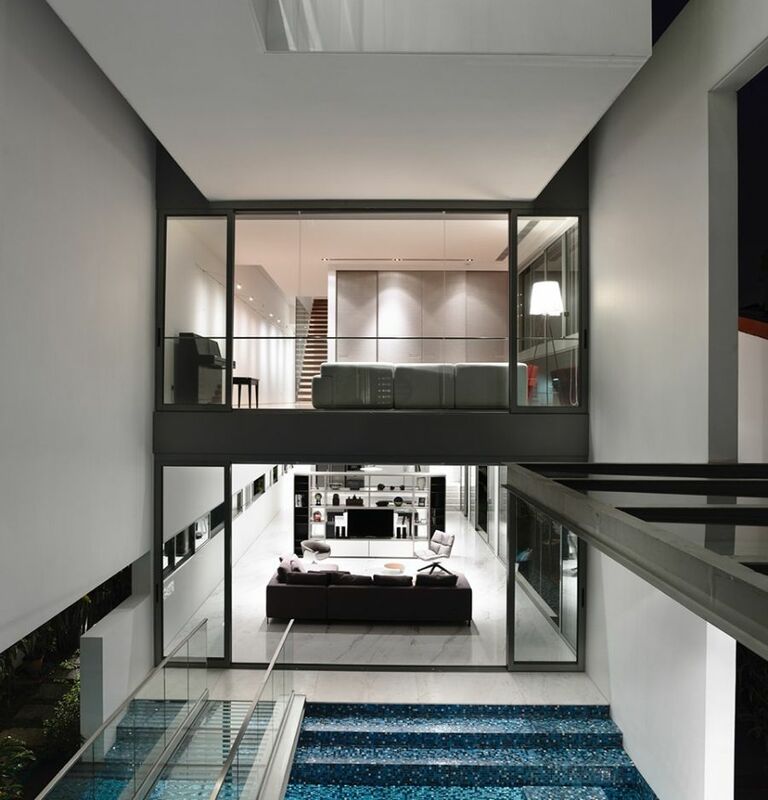 The indoor pool and the lounge area offer an element of surprise and the floating spiral staircase with glass railing brings a sense of magic and excitement to the setting. 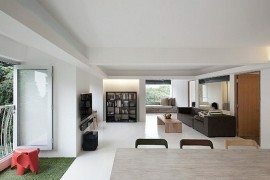 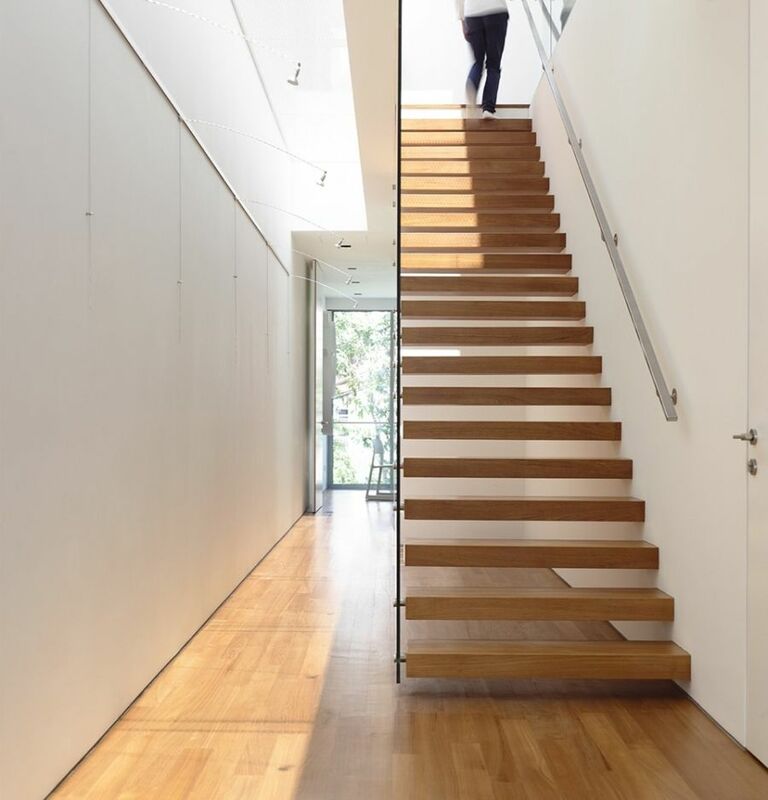 Large floor-to-ceiling glass windows provide visual connectivity with the world outside. 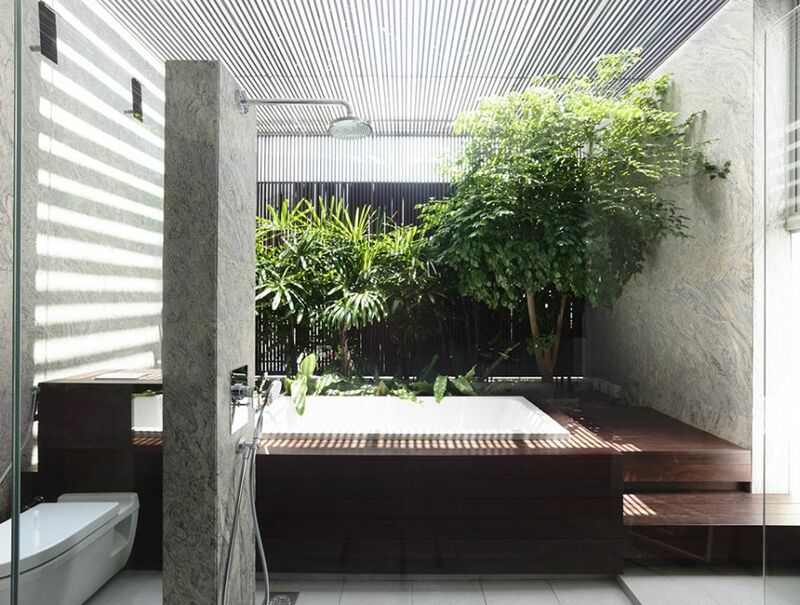 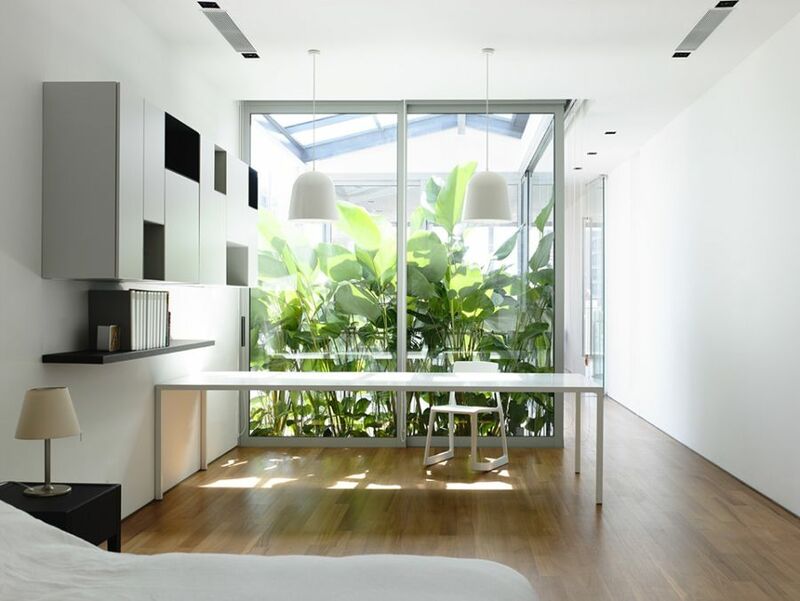 Green spaces and carefully placed plants bring in some natural freshness to the interiors. 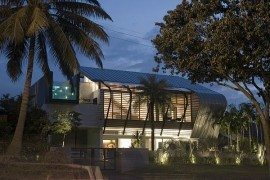 The open design of the home coupled with plush modern décor makes it in an absolute dream for those who love cutting-edge contemporary design. 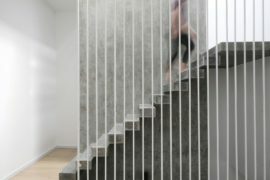 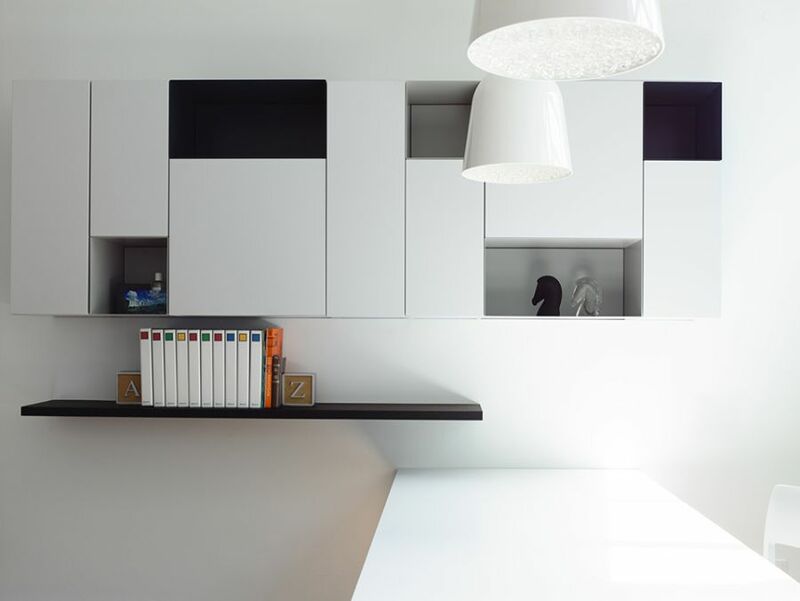 Shelves that disappear into the walls and a smart lighting installation add to the beauty of the space. 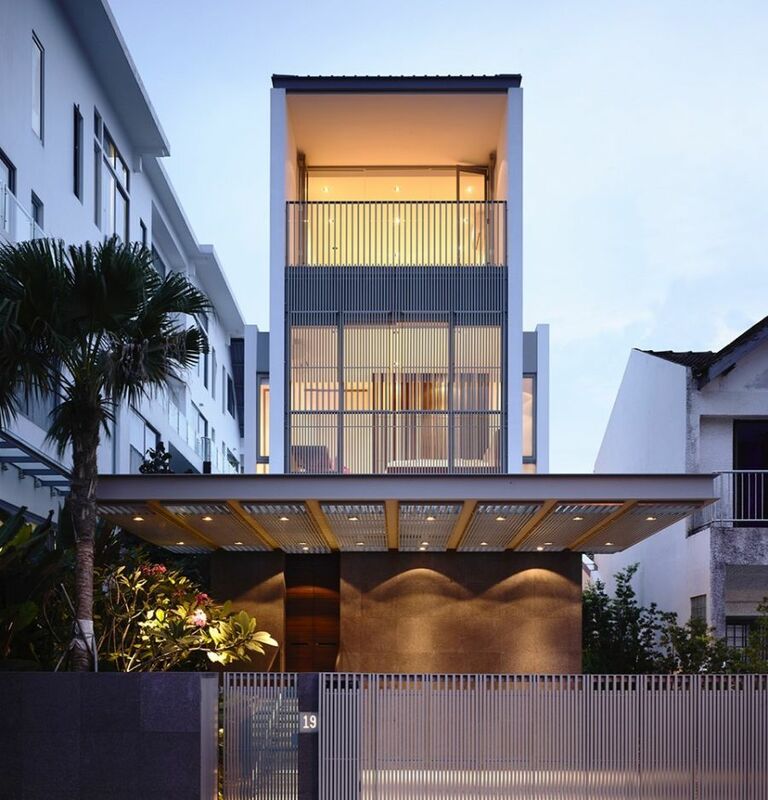 With a façade that is equally sleek and modern, this Singapore residence is all about combining brilliant design with opulence and a hint of extravagance!